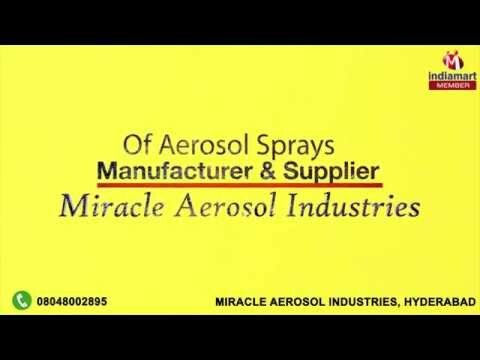 Welcome to Miracle Aerosol Industries, established in the year 2010, we are engaged in manufacturing, supplying and retailing a wide assortment of superior quality Aerosol Sprays. e have been able to fulfill the precise requirements of our valued clients with the offered product range. Our product range consists of Lubricant Aerosols, Cleaner Spray and Automotive Maintenance Aerosols. Offered product range is highly demanded across the market for their superior quality and optimum performance. Apart from this, offered products are stringently examined against diverse quality values to ensure their quality and shelf life. We are offering these products at budget friendly prices to our customers. We have established a wide distribution network for safely and timely delivery of the offered products.